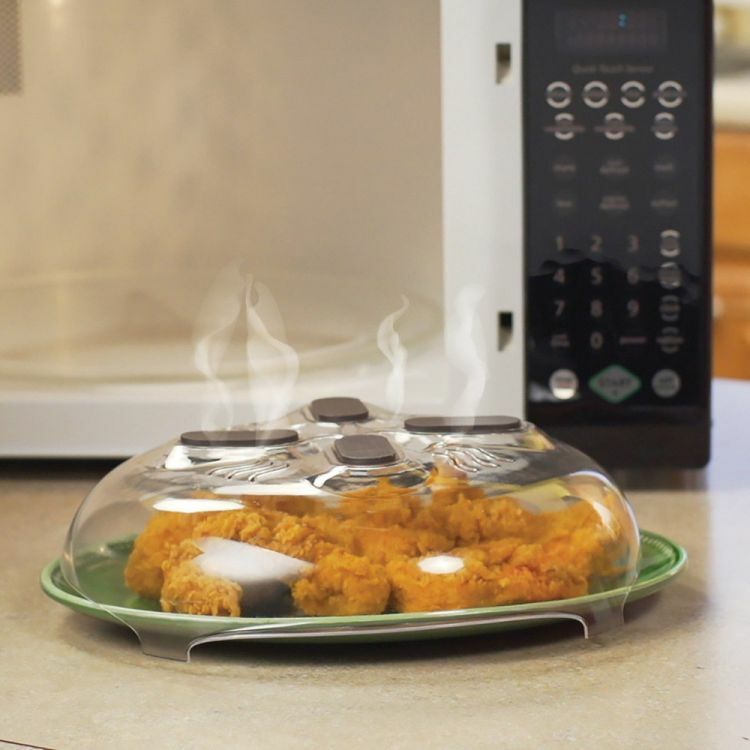 Great microwave food cover for microwave to keep your microwave clean from food splatter. Easy to clean - Our microwave cover dishwasher safe is easy to clean with just soap or water or top rack in dishwasher. It's easy to lift in and out of the microwave oven and is a must have for cookware for microwaves. Our microwave splash cover comes with vented top to open to release steam and close to keep food warm.